Injured in an ATV or Quad Accident in West Virginia? ATVs are a popular method of transportation and recreation in West Virginia. Riders of all ages and ability levels enjoy riding quads. However, it is important to note that these vehicles pose a serious risk of catastrophic injury or death when accidents occur. We will stand by your side to provide the legal counsel required during this sensitive time. When you choose Angotti & Straface, you will have dedicated personal access to your own attorney, not an inexperienced trainee. Although we maintain a full-time research and administrative staff, as well as expert witnesses, reconstruction specialists, and additional support personnel, we do not pass our cases along to paralegals. From your initial consultation to settlement or judgment, we will answer all of your questions and provide you with the information required to make the best decisions for you and your family. If a fair settlement cannot be reached, we are fully prepared to take your case to trial to preserve the full value of your compensation. 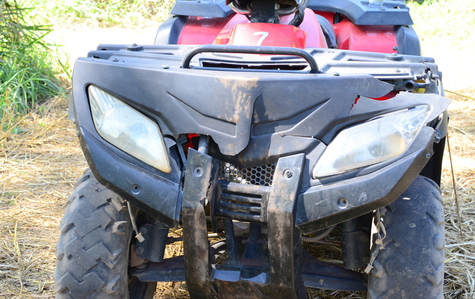 In some cases, an ATV accident may involve a negligent driver and/or a product liability issue. We have the knowledge and experience to determine whether mechanical malfunction or failure contributed to your injuries, and to what degree. Many models of ATVs have been recalled for fire and crash hazards. Our law firm has extensive experience handling both personal injury and product liability cases. Injured victims living in Huntington, Charleston, Morgantown, Wheeling, Parkersburg, and throughout West Virginia: contact Angotti & Straface to schedule a free initial consultation and review of your case: (304) 292-4381.